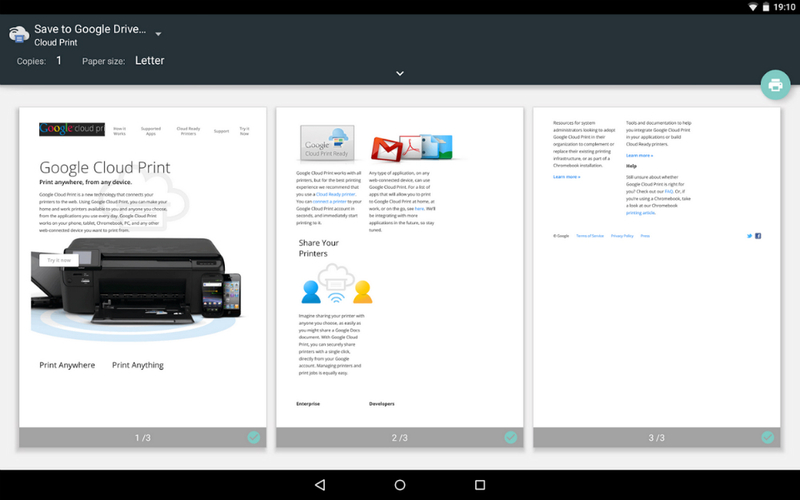 The Material Design updating trend continues, this time with Google’s Cloud Print application. Cloud Print allows you to wireless sync prints to your device with just a couple of taps, but the highlighting feature, to me at least, is the ability to send any documents you need printed straight to a FedEx shop. When it comes to return shipping labels, there is no easier way to get it done. Besides your basic shadows and multiple layers added, the Material Design also brings a new icon for the application. However, for anyone running Kit Kat or Lollipop, seeing the app won’t happen often, as the service is essentially a plugin for your OS, so you will still see your system’s UI when using it. The update has hit Google Play, so you know, go check it out.